Meaning of I know because I read...Your mind is not a cage. It's a garden. And it requires cultivating. 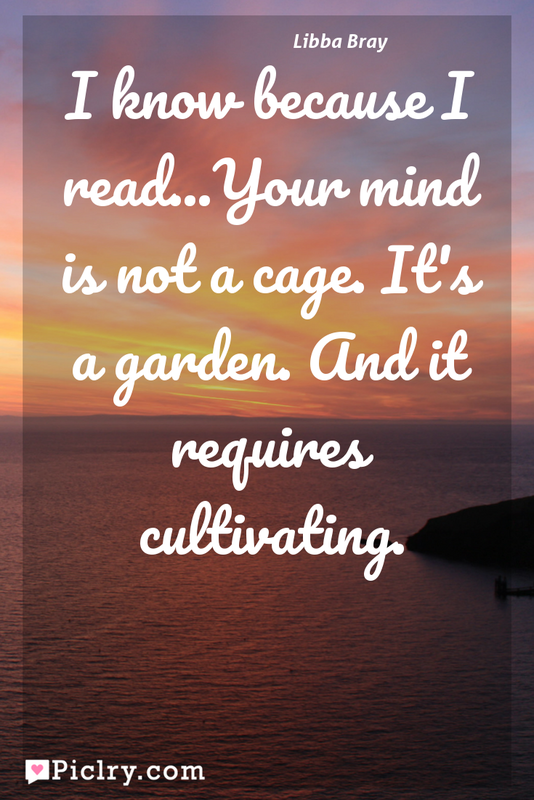 Meaning of I know because I read…Your mind is not a cage. It’s a garden. And it requires cultivating. Quote by Libba Bray.